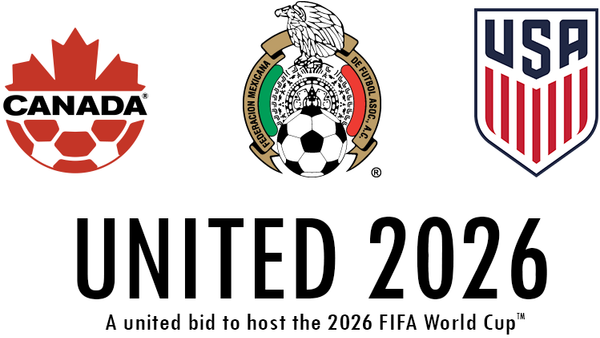 The day before the start of the highly anticipated 2018 World Cup in Russia, a 'United' bid from the United States, Canada and Mexico has won the right to host the 2026 World Cup. Defeating Morocco's bid with 67% of the vote from the 211 Fifa member associations, the 'United' bid (which had been backed by President Trump and David Beckham) promised vast profits of $11bn (£8.2bn) and a risk-free build-up in three countries where infrastructure is strong the stadiums are already built. The 2026 World Cup will be the biggest ever, with 48 teams and 80 matches. Mexico have hosted the World Cup twice, in 1970 and 1986, whilst 1994 saw the USA play host. Ten of the host cities will be in the United States in places such as San Francisco, Dallas and New York, with the other six being split evenly between Canada and Mexico in areas like Toronto and Mexico City. The final will take place in MetLife Stadium which has a capacity of 84,953 and is the home of NFL teams the New York Giants and the New York Jets. Thank you so, so much for this incredible honour. We are all united in football, the beautiful game transcends borders and cultures. Football today is the only victor.